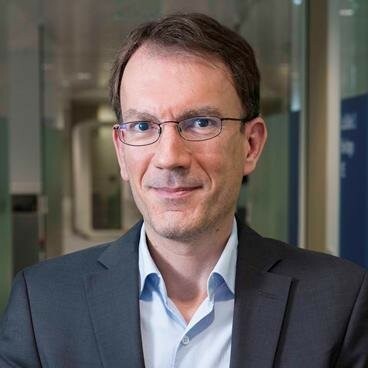 Eric Hardouin is the director of the “Ambient Connectivity” research domain of Orange Labs, which investigates future access and transport networks and technologies, as well as related business models. Eric received his Ph.D. degree in signal processing and telecommunications from Telecom Bretagne and the University of Rennes 1, France, in 2004. Since 2004, he has been with Orange Labs, where he has conducted or supervised research on interference mitigation for mobile networks. Between 2008 and 2013 he represented Orange in the physical layer standardization group of 3GPP (RAN WG1) for HSPA, LTE and LTE-Advanced. From 2012 to 2015, Eric led the research on wireless networks in Orange Labs. Eric had a leading role in the NGMN 5G White Paper, as co-lead of the work on 5G requirements. Eric is the author of the book “LTE et les réseaux 4G” (in French).